By the time mid-February rolls around, my relationship with winter hits a wall. From daily traffic battles on ice-slicked highways to cutting winds that spring tears to my eyes to sky-high heating bills, I’m just so over it all. Including, if not especially, my entire winter wardrobe. But since there are at least a few more weeks* of boot- (and wool-) wearing weather ahead, I must resolve to get through the tail-end of winter as stylishly as possible. First up on my to-do list? 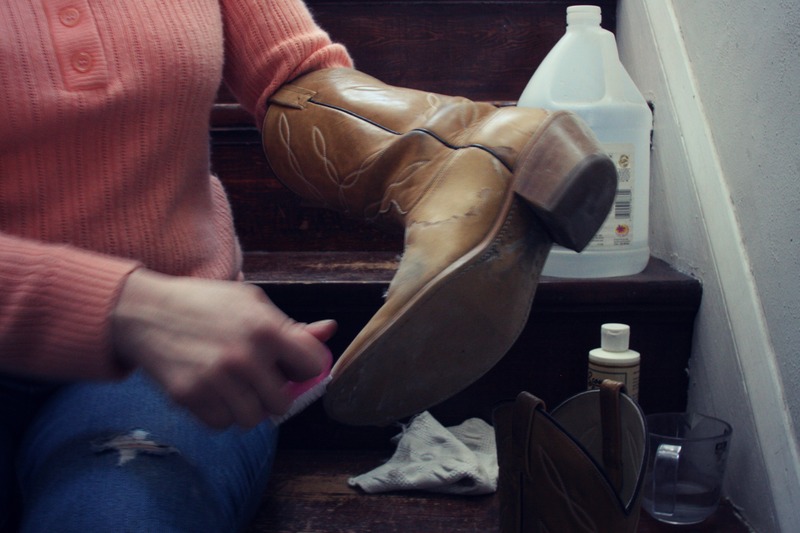 Cleaning my trusty, wear-with-everything, thrifted cowboy boots, which were, up until yesterday, marred with salty stains. 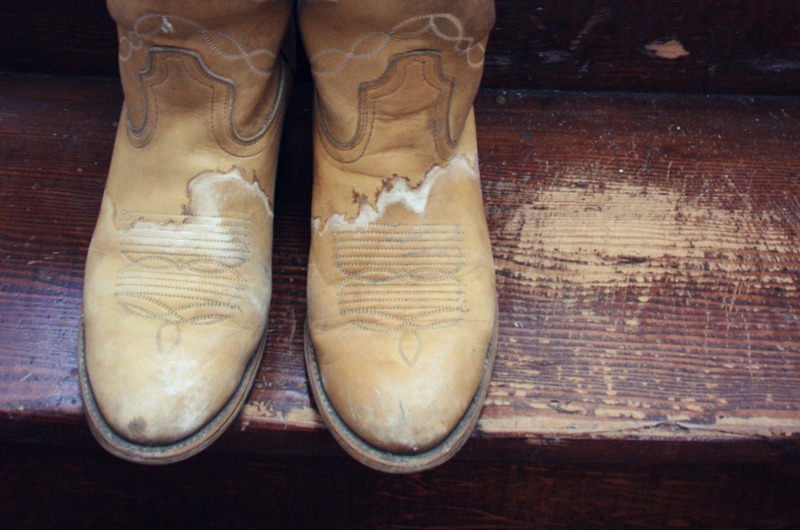 In need of some tips on how to give salt stains the slip, I turned to Google, and found posts galore on removing salt from both suede and leather boots. I mashed up advice from two posts (this one from the Free People blog and this one from 11 and Chic), and am stoked on the results. Here’s how I did it! In a small pitcher, I mixed a 1/4 cup of vinegar with a 1/4 cup of water. Dampening the rag with the vinegar mixture, I dabbed over all the areas stained by the salt, hitting the especially heavy stains a few times, just to make sure they were completely covered. 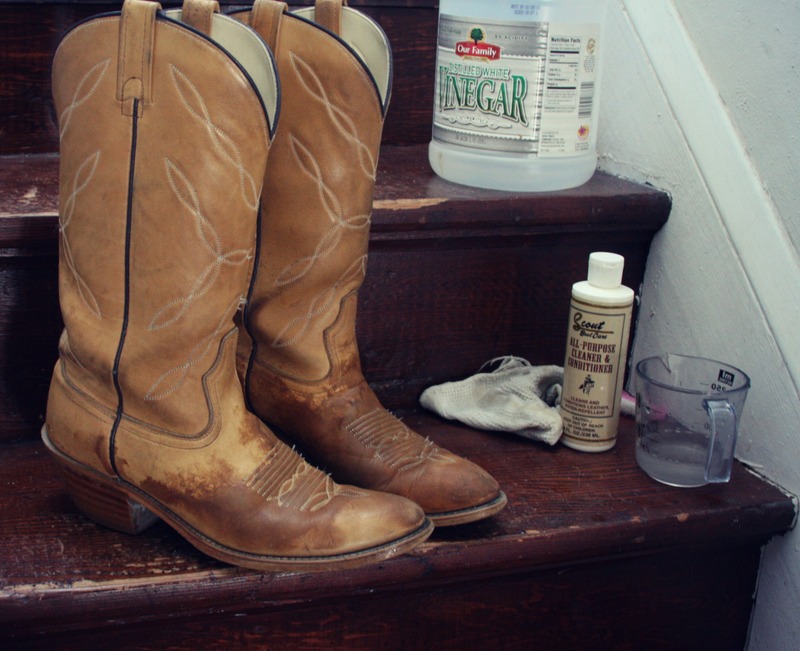 When I finished that step, they looked like this. And when I left them to dry, I felt a little more than a little skeptical that this was going to work. 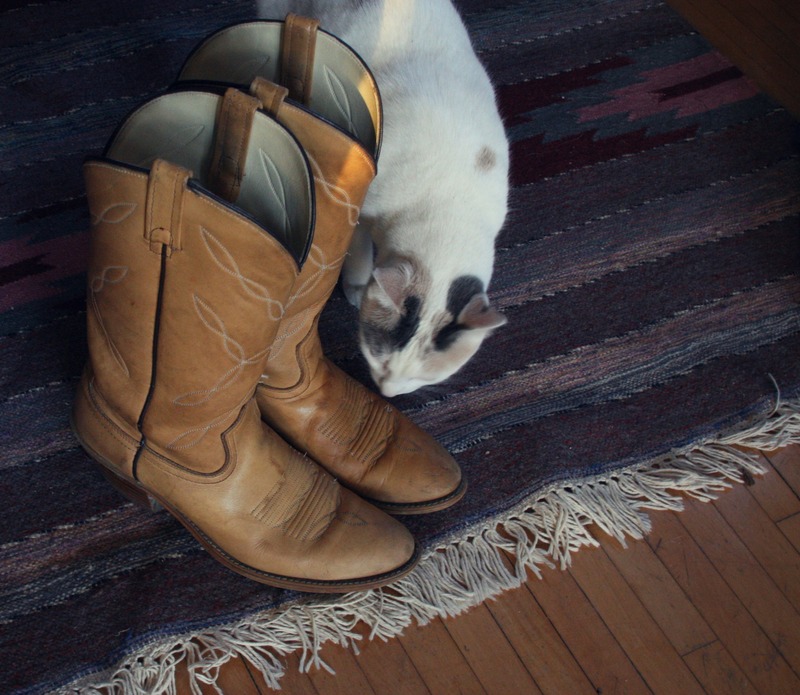 After running a few errands, I came back to find dry boots. 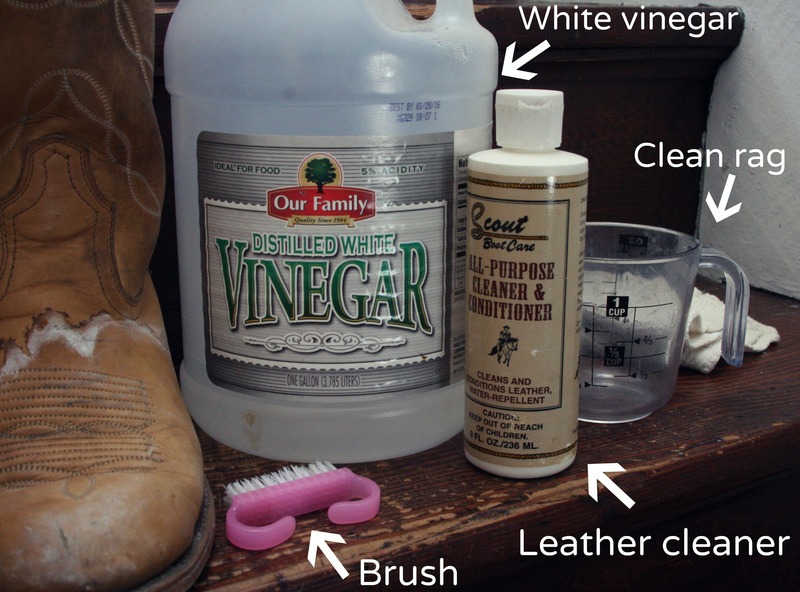 Using another clean rag, I buffed them up, using a quarter-sized dollop of leather conditioner at a time. And the results? Fabulous! 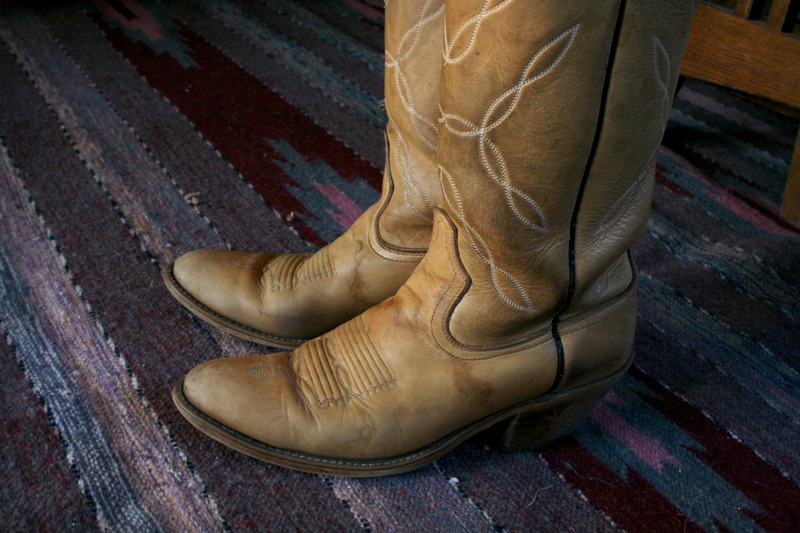 Yes, my poor boots still bear a few lingering signs of water damage, but given their age and the multiple winters’ worth of abuse they’ve sustained, I’m pretty pleased with how they turned out! Tammy Crackers is curious about where the salt stains went. 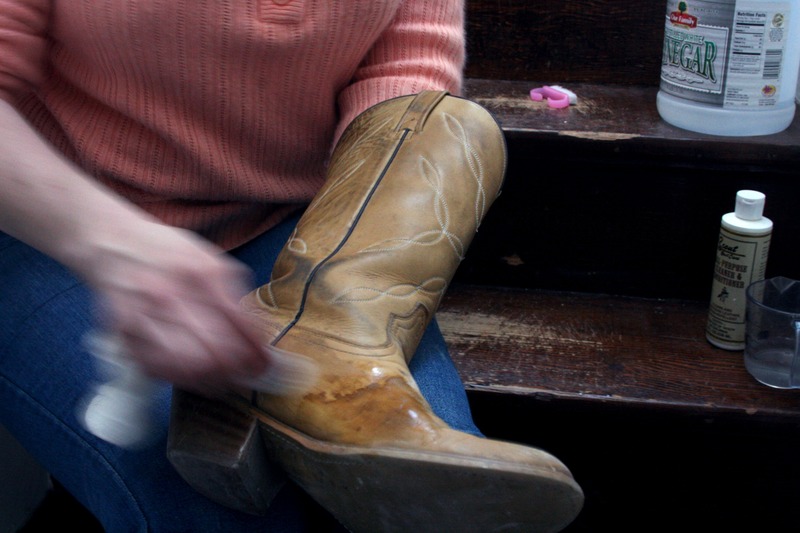 Do you have any tricks for keeping your winter boots looking better? If so, let me know! *please let it be weeks versus months! 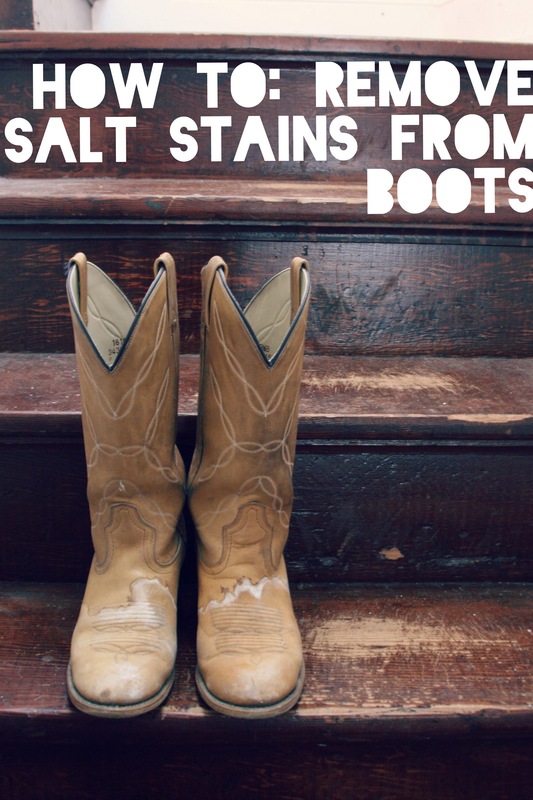 This entry was posted in How-Tos and tagged how to, how to remove salt stains, salt stains, winter by highplainsthrifter. Bookmark the permalink. That’s a great tip too! Here’s hoping winter’s grasp loosens up soon.